FAQ – Girls Play Sports, Inc. Ask us if you can't find the answer below. We're here to help! HOW IS THE GIRLS PLAY SPORTS AFTER SCHOOL CLINIC DIFFERENT FROM TEAM GIRLS PLAY SPORTS (TEAM GPS)? DO WE HAVE TO REGISTER IN ADVANCE? HOW DO WE APPLY FOR FINANCIAL AID FOR TEAM GPS AND THE GPS LEAGUES AND TOURNAMENTS? CAN PARENTS STAY TO WATCH THE TEAM GPS SESSIONS? WHAT IF MY DAUGHTER HAS NEVER PLAYED ONE OR BOTH OF THE SPORTS OFFERED IN A GIVEN MONTH? WHAT IF MY DAUGHTER IS NOT INTERESTED IN ONE OF THE SPORTS OFFERED IN A GIVEN MONTH? WHAT IF MY DAUGHTER ALREADY ACTIVELY PLAYS ONE OF THE SPORTS OFFERED? DO GIRLS NEED TO BE EVANSTON OR NILES RESIDENTS TO PARTICIPATE? DO GIRLS NEED TO HAVE THE NECESSARY EQUIPMENT IN ORDER TO PARTICIPATE? CAN I PREVIEW THE DISCUSSION MATERIAL THAT WILL BE USED AT THE TEAM GPS DISCUSSIONS? IF WE MISS A TEAM GPS SESSION CAN WE MAKE IT UP IN ANOTHER MONTH? The Girls Play Sports After School Clinic is a free program for 4th and 5th graders. Female high school student athletes go to the elementary schools to introduce two new sports each month to the girls. 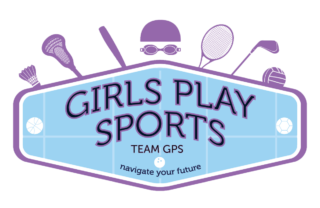 Team GPS is a fee based program that is specifically designed for middle school girls and provides a deeper level of instruction that builds up to a competitive culminating tournament. Each session is two hours and includes an important discussion topic for girls to explore. In order to ensure a 1:6 coach to participant ratio, each of our programs has a maximum number of participants so advanced registration is the only way to guarantee your daughter will be able to participate. When completing the online registration form, click the financial aid button and answer the questions provided. There is no need to submit additional documentation when applying for financial aid. Yes, but wall space can be tight given the sports being taught. We also want the girls to feel as open and comfortable expressing their feelings and experiences during the discussion topics portion of the session. 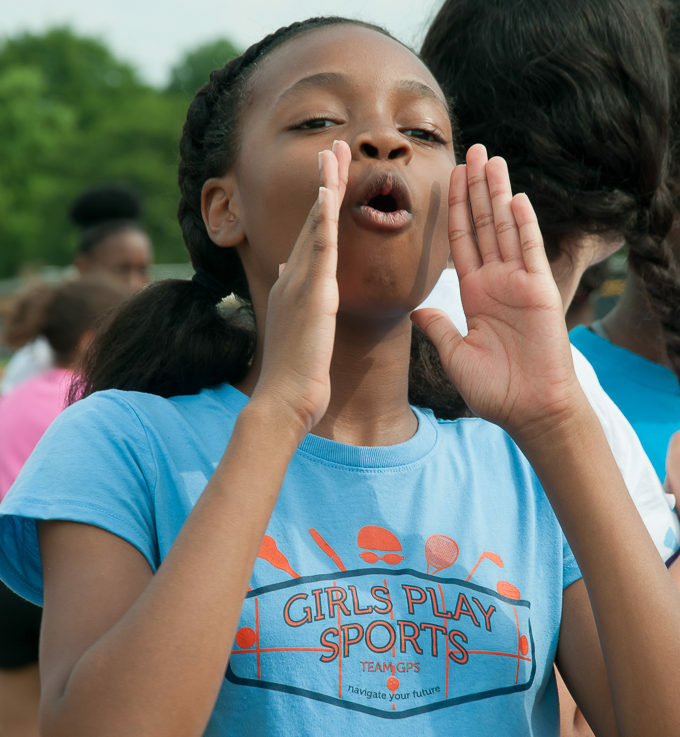 We expect most girls will not have played one of the sports each month which is why we started Girls Play Sports —to open girls’ eyes to the other sports opportunities that exist for them. We have strategically paired sports that are in different seasons and share similar athletic and strategic qualities. This cross training experience will actually help girls excel in their “primary” sport while allowing them to discover hidden talents in another sport. We want to create more possibilities for girls so they can navigate their own futures. As you’ve said to your child a thousand times at the dinner table, you never know what you like until you try it. Our Girls Play Sports programs are designed to provide kids with this trial period to see what they really like. As girls grow and develop they may realize that they are better suited for another sport they never considered but are too afraid to try it because they feel “behind” the other kids that have been playing club for a few years. Girl Play Sports will give them the confidence to tackle these new opportunities. That’s great! She will be able to continue improving her fundamentals in her “primary” sport while learning a new sport which has similar athletic and strategic qualities. The “secondary” sport will help her improve her athleticism and coordination in key areas that will make her a stronger athlete in her “primary” sport. No. Sports do not have boundaries! Girls need to wear athletic apparel (t-shirt, shorts, gym shoes). They are welcome to bring their own equipment if applicable to the sports being taught (lacrosse stick, racquet, etc) but it is not required. Girls Play Sports will provide all necessary game equipment. Parents are welcome to speak with our Program Director, Liz Brieva, regarding any of the curriculum or topics covered in the discussion sessions. Please email info@teamgps.org if you would like copies of the discussion material. Girls Play Sports wants to ensure that our coach to participant ratio never exceeds 1:6 so we do not allow for make-up sessions. We can provide a pro-rated discount for one date if you know at the time of registration that your daughter will need to miss one session.